Following extensive experience obtained working across a variety of settings (including public, private and community) Gerda Muller is now Principal Clinical Psychologist and Director of The Psych Professionals. Gerda holds specialist Clinical Endorsement with the Psychology Board of Australia and Medicare. 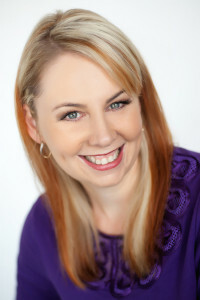 Gerda also holds membership with the Australian Psychological Society (APS) College of Clinical Psychologists, the Australian Association for Cognitive and Behaviour Therapy (AACBT), the Association for Contextual Behavioural Science and the International Society for the Study of Trauma and Dissociation. Gerda has been awarded a Bachelors Degree in Psychology, an Honours Degree in Psychology and a Masters Degree in Psychology. Although Gerda uses primarily Cognitive Behaviour Therapy and Acceptance and Commitment Therapy when working with her clients, she is trained in a variety of other approaches which allows her to select the best possible intervention for every client and their individual concerns. Gerda works extensively in the areas of Anxiety and Depression, including Phobias, Post Traumatic Stress Disorder, Chronic Pain and Weight Loss Management. The vision of helping people live their best life is the driving force behind everything she does. Gerda also frequently provides Clinical Supervision to Allied Health Professionals and other Psychologists seeking Clinical Endorsement with the Psychology Board of Australia and Medicare.